DO YOU WONDER HOW TO USE IMAGES TO GROW YOUR BUSINESS? 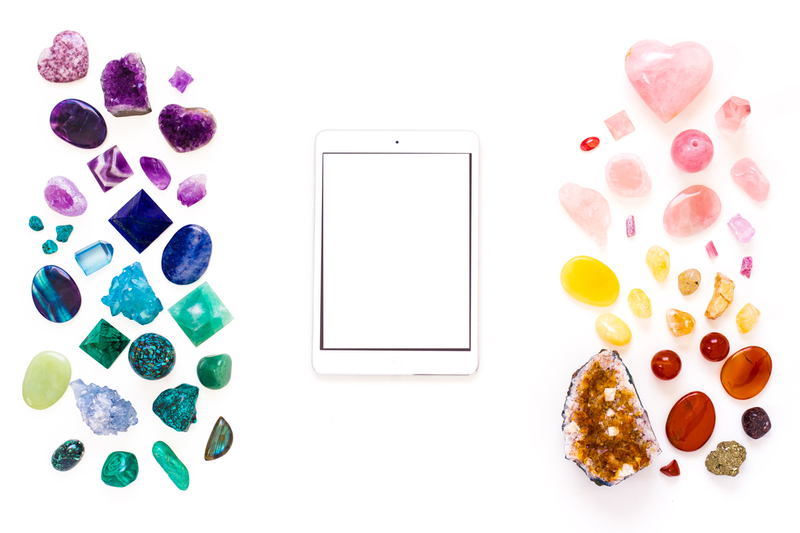 The Full Crystal Rainbow Collection includes 8 High Resolution JPEG Images (5000x3000px, 300 dpi), delivered electronically automatically after purchase. 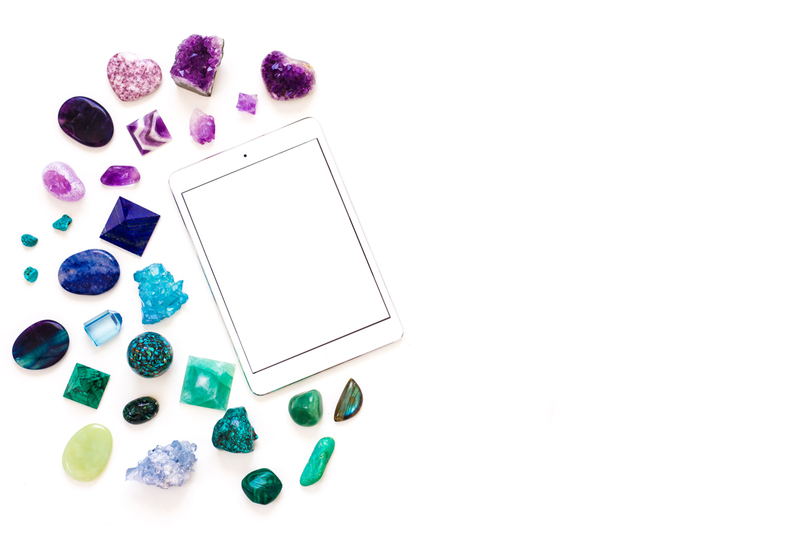 Have you ever entered a crystal shop thinking “oh that’s pretty”, only to end up getting home with more (way more) than you expected to buy? Have you felt enthralled by their energy, happy just to look at them? 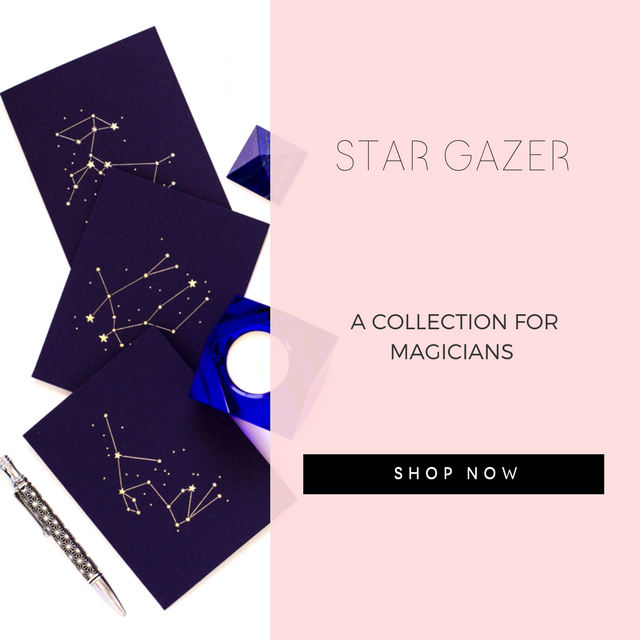 Then this collection is for you. 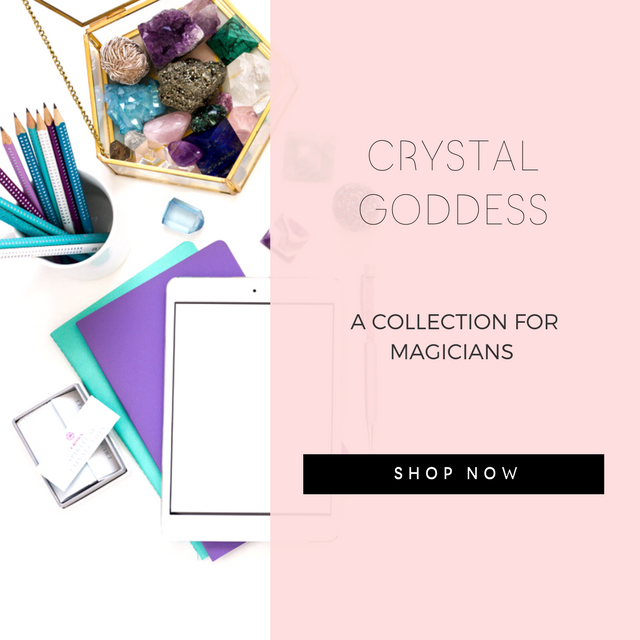 In this collection, I wanted to capture the magic and joy of the crystal world, while providing photos that were both beautiful and practical for crystal healers, crystal jewelers and crystal shop owners. They were created to be both visually appealing and versatile, so you can use them for everything you need. 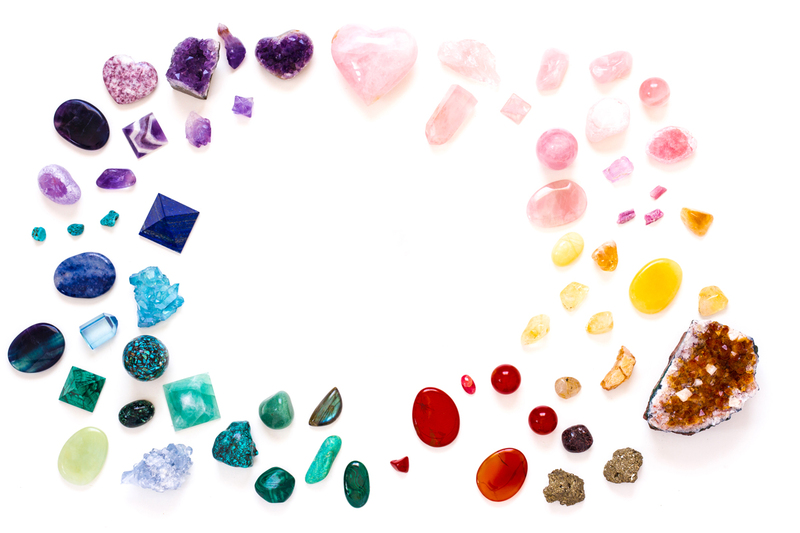 The colors of the crystals are organized according to the chakras. 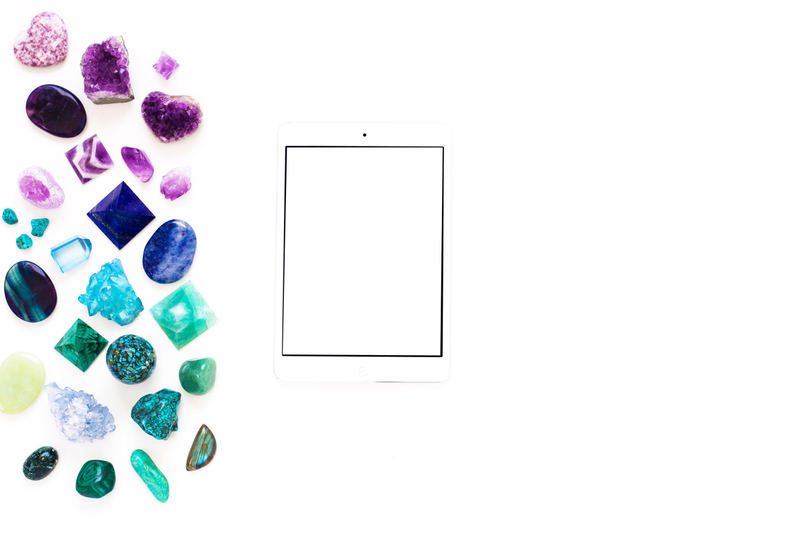 The photos in this collection include free white space and electronics, such as as tablets and phones, where you can overlay photos of lead magnets, e-books, any page of your website, and meditations. You can also add text and color overlays (blocks of color) and crop them by zooming into small details, to maximize their usage. 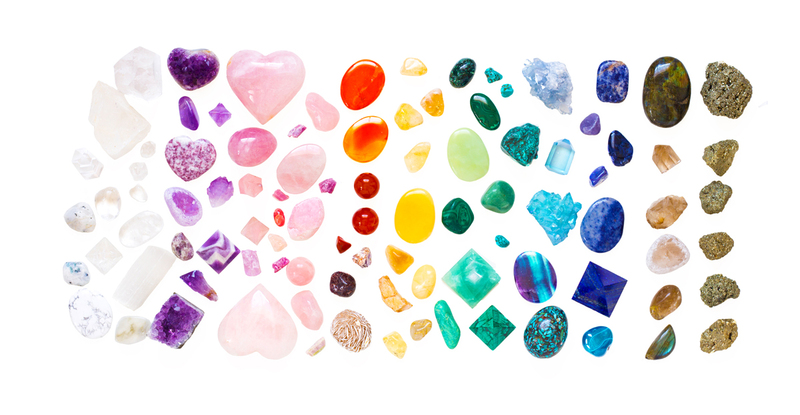 Crystals and their colors have meaning. 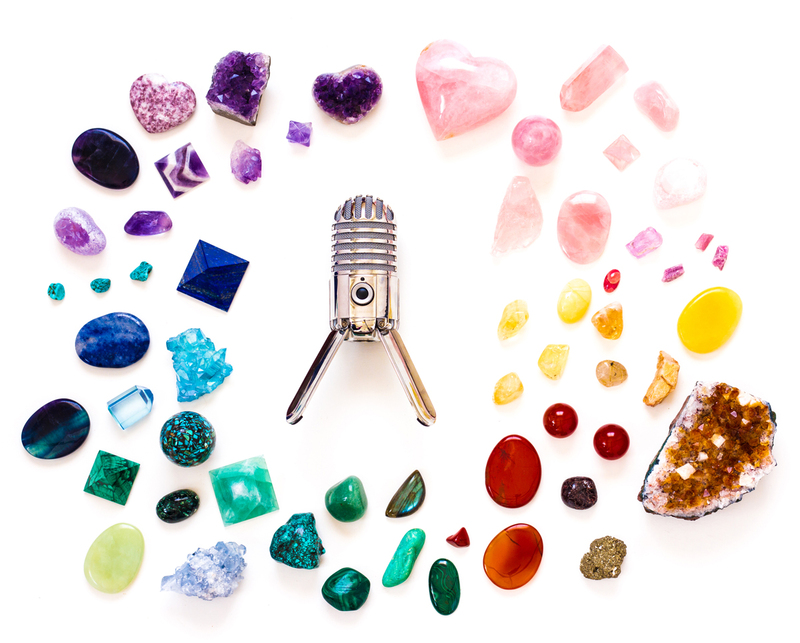 Here are the ones included in this collection, so you can use them consciously. Orange: A mix of yellow and red. Symbolizes The rising sun, joy, warmth and creativity. It is the color of the Second Chakra. Green: It is associated with the Heart Chakra. Represents: Growth, freshness, fertility, life, life energy. Blue: The color of the Third eye and Throat chakra. Symbolizes eternity, transcendence, the supernatural, Mary’s cloak, moonlight, that which we most prize. Purple: The Color of the Crown Chakra. Symbolizes royalty, nobility, wealth, wisdom and power. Red Jasper: A stone of protection and grounding. It relates to the First Chakra. Carnelian: A stone of creativity and courage. It relates to the Second Chakra. Citrine: A stone of abundance and power. It relates to the Third Chakra. Opal: Represents hope, innocence and purity. 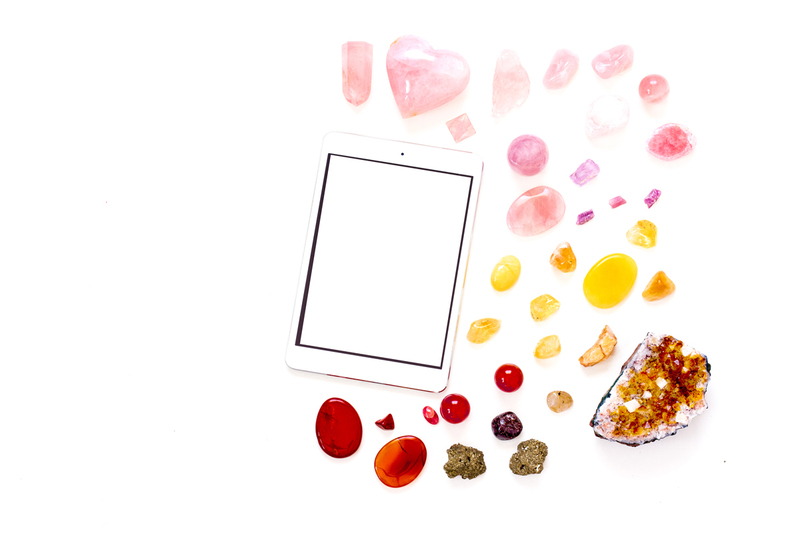 Rose Quartz: A stone of love. Related to the Heart Chakra. Malachite: A stone to connect with the Elemental realm and amplify energy. Turquoise: A stone to aid communication and speaking our truth. Related to the Throat Chakra. Green Jade: A dream stone. Related to the Heart Chakra. Angelite: A stone to bring serenity. 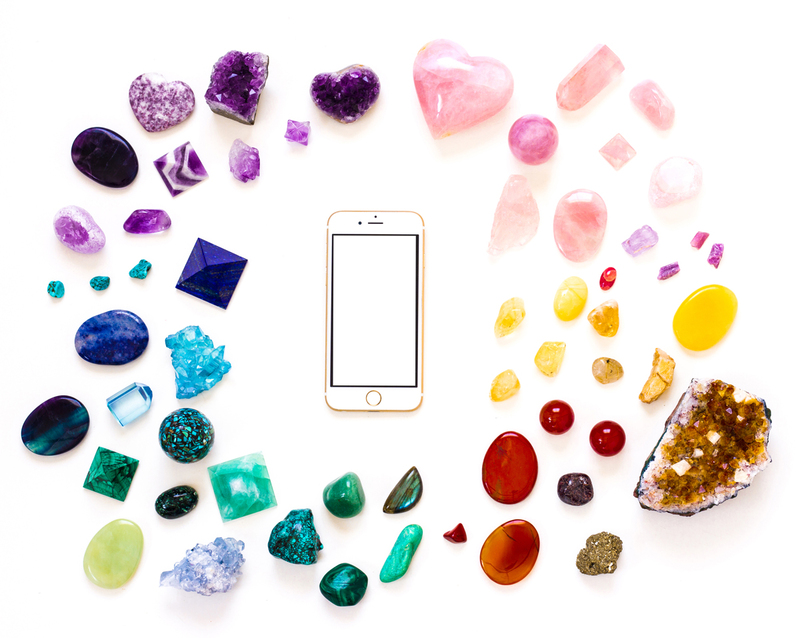 Acqua Aura: A stone to speak and seek inner truth. Fluorite: A stone to increase intuition. Amethyst: Meditative and purifying. Associated with the Crown Chakra.